I never said I was going to use the Foundation cert in place of the Diploma, and certainly not try and deceive an employer into thinking that the A was the overall FGA grade. Just thought it might be nice to use both certificates in combination. The Diploma for prestiege, and the Foundation to display a top grade. Thanks for rooting-up that UK qual level page. That's really complicated. Can't believe I'm a higher level in Physics than Gemmology. As for paying for the FGA membership cert, no chance. I never said I was going to use the Foundation cert in place of the Diploma, and certainly not try and deceive an employer into thinking that the A was the overall grade. I wasn't implying that you were. Only that showing an "A" grade on your Foundation cert would likely not counterbalance a "B" on your Diploma and so it would probably be a bit of a useless gesture. As for not renewing the Fellowship. Seems to me that if you're looking for a job as a gemmologist, being publicly listed on the Gem-A site and being entitled to use the "FGA" denomination would only be an advantage. I would imagine that the first thing that anyone recruiting would do would be to see if you're listed on the Gem-A site. I know I would. I never said a Foundation A would counter-balance a two Diploma B's. That would be a stupid suggestion. However, highlighting a Foundation A seems better than not highlighting it (where the assumption would then be that a B was obtained in the Foundation). As for pumping more money into Gem-A, so that employers can cross-check the legitimacy of the FGA claim. Surely, if they are sending a scan of the actual Diploma certificate with applications, that would be proof enough? Hell, that person could take the original certificate to the interview, to rule-out a photoshop job. I can guarantee that 99% of the jobs applied for, in this country at least, would not be as a "gemologist", but for retail instead. Therefore, I can't see membership being a pre-requesite for these types of positions anyway. Well then... you're all set, aren't you? Hope that works out for you. Well, we both know that isn't true. However, is there any evidence at all that employers are cross-checking names against the FGA database? If I had evidence that a certificate scan was "not proof enough" for applications, I would stump-up the additional £100/year. After a £6000+ outlay, it's a comparitively-small sting. I've heard that there was no part test until the actual test earlier... Which I really cant comment on, because I really dont know what outcome that would have. But as it stands I think any check up on how well the student have understood the material should not be built in a system that is more induvidual! People dont really learn the same way, everyone have there own way of learning. So a test cant build on rehearsing the coures notes word for word. Because everyone have different ways of learning, different means or way of explaining something will rise from the same course notes, which is not to say that the all cant be the right answer! It should have nothing to do with people's different preferred ways of learning (memorisation, cramming, essay-writing etc. ), and everything to do with what format will allow them to become most useful/employable upon graduation. This is a vocational qualification, not a academic one. Thus, memorising facts (which could all be looked up in seconds in the workplace post-graduation) doesn't seem particularly useful. Plus, I think the course content is way out of whack. These courses are to prepare graduates for gem-related employment in Western countries, and yet not once are markets, stone prices, appraisal (etc.) even mentioned. Instead you are meant to memorise the skull-melting process for producing CZ. When in the name of Christ Almighty is this going to be any use this in a working environment? Is this a process the graduate is going to offload onto a (bored) customer in a retail shop (where most industry positions are located in Western countries)? Not likely. It seems much more likely that a retail employer might want a graduate with experience/knowledge in gemstone valuation, appraisal skills and various other commercial-related skills. I'd say it's time to massively reduce the weighting of the theory side of the course, perhaps dropping the diploma theory exam altogether (and have just ongoing theory coursework for marks), and increase the practical element. Plus add a new tested valuation/appraisal element to the course. 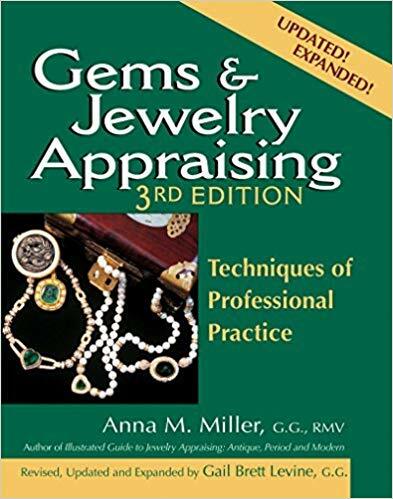 People will say, "it's a gemmology course, not a appraisal course", but when so few people (in Western countries at least) are employed in purely gemmological positions, maybe it's time Gem-A made their course to match the commercial/retail-dominated environment that their graduates will be entering. As an aside, there should be a much greater jewellery element too; rather than the few pages devoted to settings at the end of the diploma notes. This is a British course aimed at Western students. By the time most stones arrive in the West, they are already set in jewellery, and this will certainly be the case by the time they are sold. So it seems strange to leave graduates will so little knowledge and experience in settings, metals (etc.). Afterall, 99% of the goods they will deal with in their UK/US/Europe-based professional careers will be set in jewellery, rather than loose gemstones, so it seems like it should be quite a big deal. Is there anything stopping you from learning those things now? The markets are constantly changing. It's a part time job keeping up on it. I spend hours every week just keeping up on new developments...and I've been doing this for decades. It doesn't take long to get stale. 6 dormant months will make one loose their relevance. I mentioned years ago, that you could pursue an independent appraisal business. Appraisal science is not gemology. It is a different discipline. You could always purchase a couple of used copies of Anna Miller's Books and check them out. You certainly have the time. If it suits you, you can take it further. Folks have been giving you tips for years. Did you follow through with applying for Holiday Work? I'd be curious to know if any other members have run into these employment blocks. Markets and stone prices I got into years ago, outside the course. Additionally, I have read books on jewellery settings, metals etc. These things can be learned by reading and research. As for appraisal/valuation, however, that seems rather more hands-on, and maybe requiring of further courses (PJValDip, CIG, JET, NAG etc.). I did see this at the time, but was slightly confused. Would people really hire an independent appriaser with no experience or qualifications, but has read a few books? I don't doubt that some BS their way through life, and do so with success, but starting a business in something I have never physically done before doesn't sit well. You might call this "making excuses", but to me an independent appraisal business is much more likely to be set up by someone previously employed as an appraiser, who decides to take his learned skills into his own enterprise. Every advertised position on Jackson Maine, Jolyon Marshall, Benchpeg, jeweller-recruitment.co.uk, Gem-ALinkedIn and retailjewellerjobs.com. Of which I have interviewed for six already. 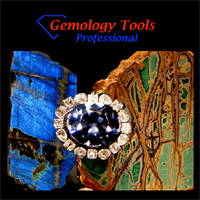 However, most seem rather down on the gemmology courses (both FGA and GG). In their mind, it's all very interesting, and a worthy academic qualification, but nobody recruiting/interviewing in these retailers (High Street and high-end) could really work out what use this information might be when 50% of their jewellery stock was non stone-based (watches and beads/fashion/metallic jewellery etc. ), most of the stones were diamonds, and the few coloured stone pieces they had were already tested/ID a lot earlier in the process. When I asked a couple of the interviewers why, then, they had offered me an interview partly on the strength of the FGA, they both pretty-much said that they were impressed that I had gone out and self-financed such a qualification. It showed a genuine interest/drive, albeit in possibly not a very suitable direction for most UK retail jewellers, for whom 90% of the course's content was not really applicable. Nearly all of these retaillers push their employees into jewellery courses, not gemological courses. Although there was one jeweller, who I interviewed with near Birmingham, who does occasionally put a staff member through a GG. However, he doesn't like the overly-scientific FGA, but would accept it if a new staff member had already obtained it (guess it saves a fortune). On Thursday, the interviewer at a high-end New Bond Street store even stated that there are "way to many" gemology graduates, and couldn't work out what they were all meant to do. Once she had realised, through some roleplays, that my luxury sales experience/skill was way below the requirement (and they only have a few coloured stone-based pieces, and those are only cab/beads), we had rather an interesting, albeit somewhat frank, talk about my situation. In essence, she was trying to work out why I (and many other Brits, and no doubt Europeans, Americans etc.) would study a rather technical coloured stone gemmology course, when there are only a handful of small labs in my country. When the retail shops are selling mostly fashion, diamond, metallic or watch jewellery. And when the coloured stones that are one sale are almost always already set and ID/tested elsewhere. In fact, the only major loose coloured gemstone shop she could think of in Hatton Garden was Holts. If they can sell, they might be OK. I don't think it's something I am particularly suited to (even though that's what I've been applying to for the last 3 months, for lack of anything else on offer). While a lack of selling nous is a weakness on my part, something seems wrong when people do a course in gemology, but have to end up in sales. I mean, if you are going to neccessarily end up in sales (at least initially), why not do a sales course? The plan now is to do some short appraisal, horology and valuation courses, and go in a pawnbroking direction. Getting additional valuation, buying and financial services skills would be more useful than just selling. 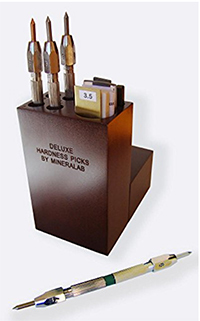 Essentially, if you are just starting out in the industry, and want your coloured stone gemmology qualification to be genuinely vocationally useful in the UK (which in turn would obviously give you a foot-up on your competitors for such a position), you have to hope to squeeze into one of the few small labs that are around (Solitaire, BGI etc. ), or get into one of the few loose stone retailers (Holts, and maybe a few others I am not aware of). You'd have to be a real charmer with the labs, however, if you don't have additional high-end academic scientific qualifications (Masters/PHD in Physics etc.). I suspect that the DGA, however, is a different story. There is a diamond industry here. While I suspect it is still tough (name an industry that isn't at the moment), it's a much wider net than you have with a somewhat scientific coloured stone qualification. Hopefully, I'll be saved the angry PMs. This isn't "moaning and whining". This is what I am being told constantly in face-to-face interviews, and email conversations. Too little of what is being covered in gemmology courses provides skills that are useful in making a prospective employer money in a tough economic environment. Of course, shop-based retailers in all industries are in big trouble with the unstoppable rise of internet shopping and huge all-in-one Walmart-esque retailers (*cough* Tesco *cough*). This is hurting both the small independent retailers, and the chain stores equally. Several big-name UK retailers have gone to the wall, or are in the process of doing so (Woolworths, Argos, Comet etc.). Such a situation makes these stores pretty reluctant to hire. I got three more interviews pencilled-in for next week (two in London, and one in Plymouth), so fingers-crossed.